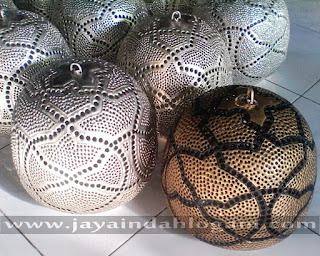 Decorate the house with chandeliers course will further beautify your room. With a chandelier with a variety of selection models and varied forms that can be your choice. Crafts chandelier even this is also available in two types, namely copper and brass chandelier.Many people who love the chandelier with two types of this material because it is considered more robust and strong. The chandelier is one of lighting products for interior decoration or exterior of your home. You also must be smart in the placement of this chandelier.Before you have plans to buy a chandelier of copper or brass, it would be better if you pay attention to advance the style of your house. 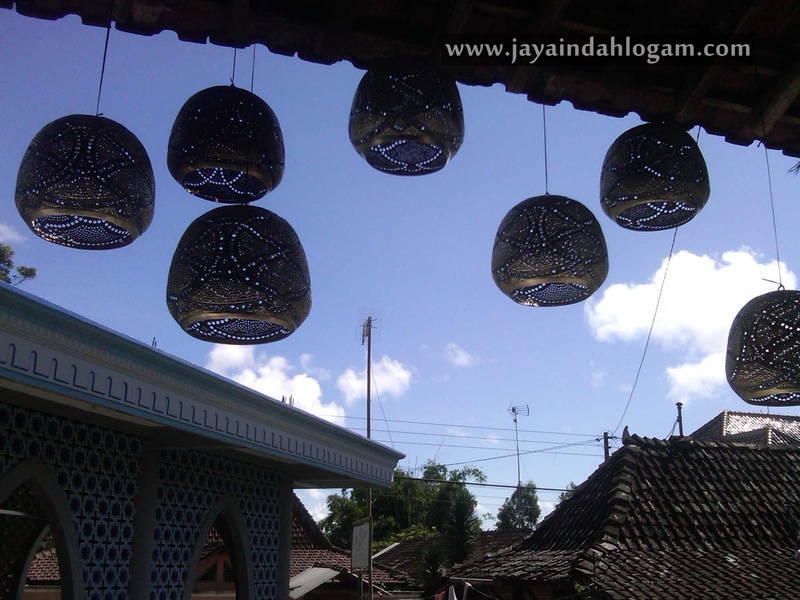 In addition, you also need to consider the existing holder chandelier hanging Lampung place because it does contain artistic value. The uniqueness of Copper Hanging LampHanging lamp can indeed be encountered anywhere place. Almost all the buildings we can find. 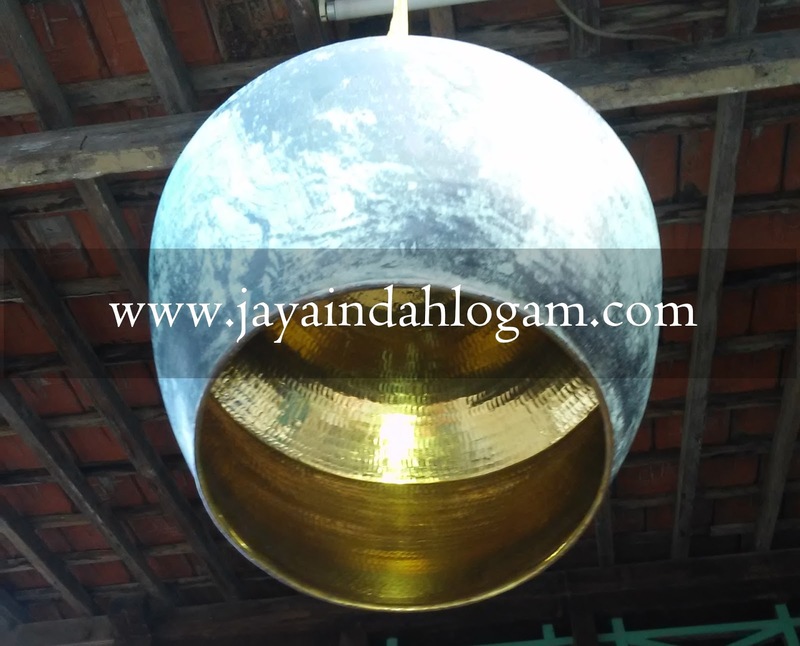 Whether in hospitals, in hotels, in restaurants and in homes even now many are using this chandelier.Tembagapun hanging lamp comes in various forms. There was a chandelier in the form of a unique, minimalist form, the form of ancient or even modern shaped depending on you prefer the shape which. The size is also available in different sizes ranging from a chandelier with a small size to large size from single to double.As for the choice warnanyapun has also provided the finishing various color choice. Beautify your room with chandelier copper craft. Copper pendant lamp now has so many models so you can get the look of any room as you wish.Lots of galleries that provide copper chandelier. Although copper chandelier is still created manually, but for the price is also not compete with the artificial lights of the factory. This chandelier does require a lot of time to manufacture.Typically these range copper chandelier priced at around 150,000 and could even reach 300,000. When talking about the price usually varies depending on the model and the place of sale. Just imagine how wonderful if your room is decorated with copper lamps. Brass Hanging Lamp For Room decorationBrass chandelier with a full engraving on the body light and decorated with beads of various colors. Certainly makes brass chandelier looks more beautiful and luxuriously. 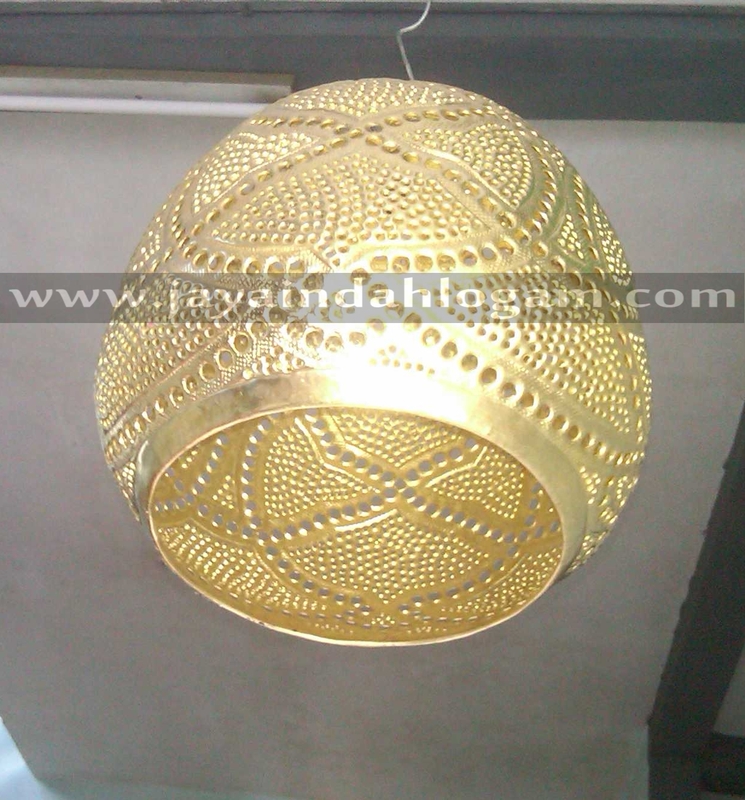 Moreover with gold light yellow in color light through the holes that are in between carving course will radiate with perfect beauty.Brass chandelier is considered able to add decorative value of a room. If we look at in terms of form or even a model of the craft brass chandelier has indentations that look so neat and well organized. 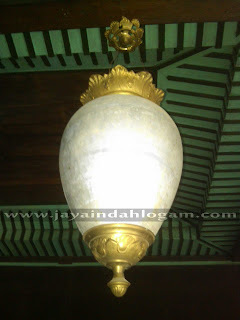 As for the beaded decoration is capable of emitting light colorful but light is not too sharp that even this light is still visible artistic value. Shape Of Hanging Lights Copper and BrassThe chandelier was able to give the impression of a cozy, classic or even a luxurious impression when installed in your home. Many craftsmen who have been offering crafts copper and brass chandelier of high value and of course the price is quite cheap as well.Shape chandelier made of copper and brass is very diverse and is also quite unique. There was a chandelier of copper or brass with hanger straps are short, some are hanging lamp from copper or brass with a rope rather long.Shape of the copper chandelier or kuninganpun also varied. There is a circular shape like a donut, some are like jars but molded and carved in such a way. 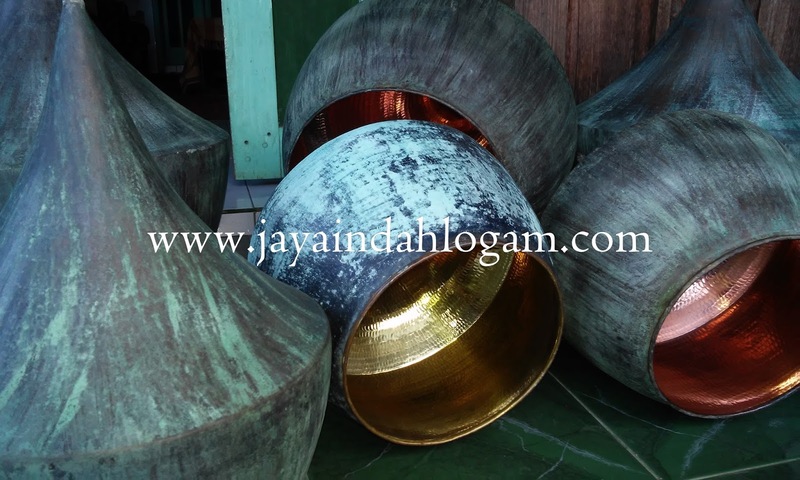 There is also an oval shape, there is also a fusion of various forms such as in terms of seven and a half circle.In addition, there is also a hexagon shape, there is a shape similar to a variety of fruit, some are conical, some are shaped lamp Robyong and many other forms. In fact, it could also suit the tastes of consumers who ordered it.Usually most requested by consumers is a chandelier of copper and brass. Bentuknyapun increasingly varied and innovative. More and more consumers are coming with a new design pendant lamp chandelier make the product more and more choice of form and its texture.In general, the buyer applies chandelier on the wall in the living room, room, kitchen, children's study room or terrace. If you want to look for inspiration on the chandelier both copper and brass, of course, you can view the product catalog and brass chandelier or even you can get information from the internet.